Born from the oppression of slavery, capoeira is a synergistic blend of dance, martial arts, and acrobatics. Like the fluid movement of its players, capoeira can be difficult to discern. 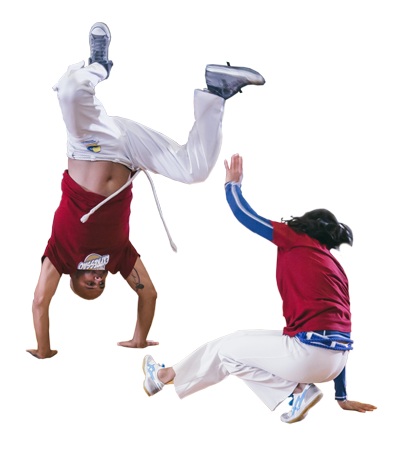 Often seen as part martial art and part musical performance, capoeira is both entertainment and knowledge. It can include everything from acrobatics and head butts to nimble kicks, often deliberately missing your partner by mere inches. 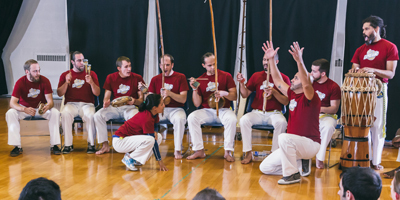 Though having varying styles, capoeira is traditionally done by two players within a "roda," a ring of people who surround the participants, clapping and singing songs. Capoeira's history charts its existence back to the slave ships, which carried millions of Africans to the shores of Brazil under the direction of the Portuguese crown. In the fight for freedom, the slaves developed a means of self-defense disguised as dance. 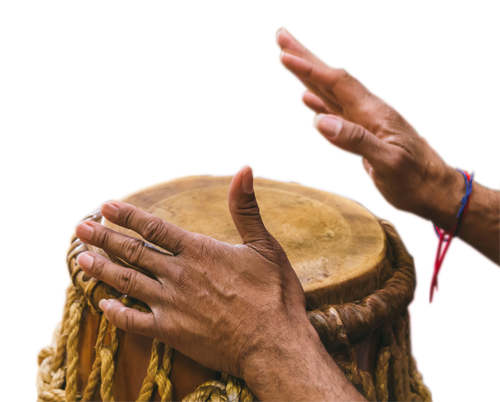 As slavery disappeared, the martial art evolved into the current blend of dance, music, and improvisation that is seen in capoeira today.